At Faversham Creek sailing barges and other traditional craft are still moored and repaired, but for how much longer? Planners and developers seem ignorant of history and geography, also blind to what is lost if the edges of such navigable waterways are simply covered with housing and shops as if the creek was a suburban street. T he hull of paddle steamer Medway Queen is nearing completion in the Albion Dockyard, Bristol. A re-dedication ceremony will be held at the dockyard on Saturday 27 July. The ship will not leave the dry dock immediately. When the weather conditions are right and the tug is available the ship will be moved back to Gillingham without further ceremony. The MQPS website (www.medwayqueen.co.uk) has a page dedicated to the “tow home” and details will be posted there as they become clear. The fitting out phase will then commence in earnest. The society’s Gillingham Pier workshops will be open to the public on all 4 days of the Heritage Open Days weekend of 12-15 September. On Monday a Medway Yacht Club motor-cruiser was found adrift, minus its 40HP Honda outboard, and the gates of the Wilsonian SC compound had been broken open. Along with the racing, there’s lots going on off the water , so come and join us whether you want to sail, spectate or socialise. 2 races on Saturday and 2 on Sunday, with 3 to count if all four races are completed. REMEMBER Sunday racing kicks off at 10.00 hours! 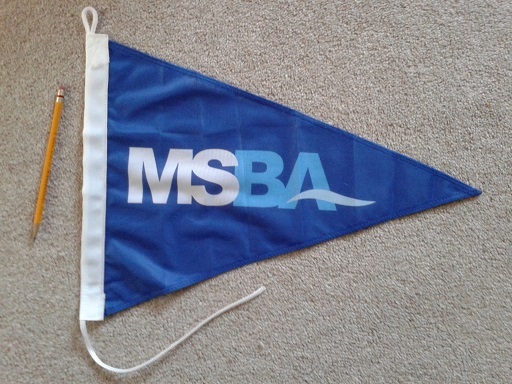 Established in 2010, the Medway Boat & Chandlery Fair is the largest boat show on the Kent Coast. There will be over 60 sail and motor boats on display. There will be trade stands from 3D Tenders, Dolphin Sails, English Braids, GJW Insurance, Medway Watersports, Raymarine, Robert Bingham Yacht Surveyors, Suzuki. This is an ideal opportunity for you to meet and discuss with specialists all aspects of boat ownership. On Saturday a free shuttle bus will carry you to and from Chatham Waterfront where you can see the Medway River Festival. This year’s free council-run festival will be bigger and better than ever before. It will be a fun-packed day of activities centred on and around the River Medway, best viewed from Chatham Waterfront where there will be lots to see on and off the water. If you want to try a boat or have a go at sailing, a shuttle bus will take you to and from the Boat and Chandlery Fair at Gillingham Marina. Races and floating river processions are among the plans with colourful displays of yachts, rowing boats, motor cruisers, barges, tugs and kayak activities taking place on the River Medway. Local clubs and associations will be offering support and advice shore side for everyone to learn more about the river. Live music, nautical-themed performances, food stalls and children’s entertainment are also planned for the festival.